A new image produced as a collaboration with me and Eric Recurt. 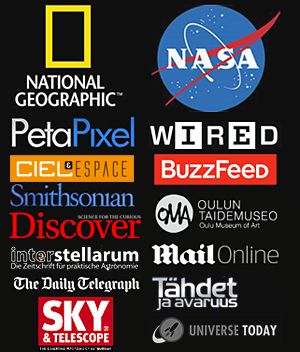 The data is shot from his observatory at Tenerife. The Observatory locates at 2400 m altitude and at 28 degrees North. 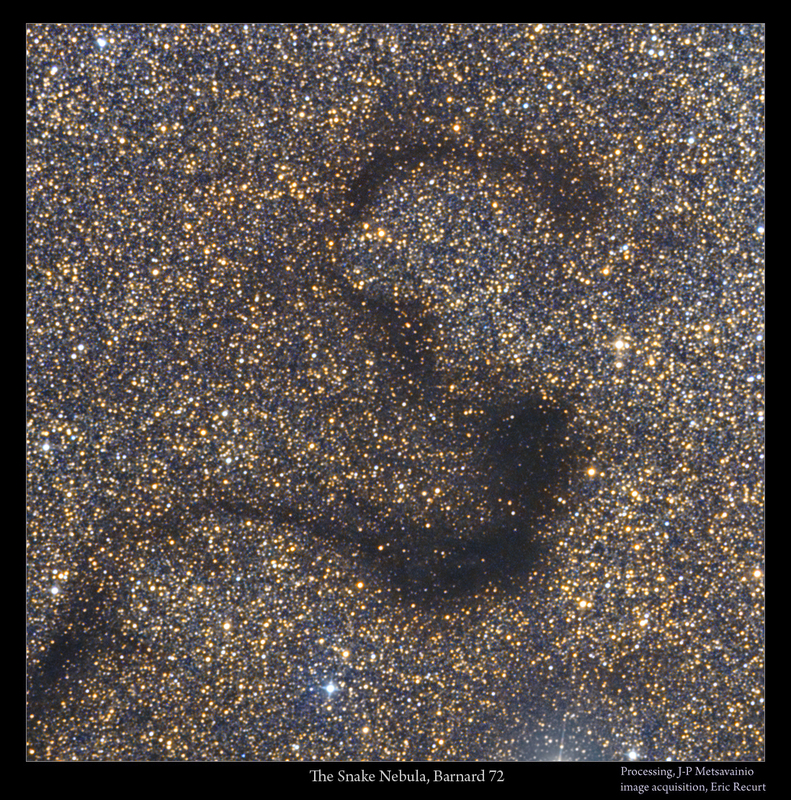 The site has excellent seeing conditions, 0.8 " on average and can be below 0.3 "
The Snake Nebula (also known as Barnard 72) is a dark nebula in the Ophiuchus constellation at a distance of about 650 light years. Barnard 72 lays at front of the Milky Way star clouds from the north-north-west edge of the bowl of the Pipe Nebula.